Re-watched this gem last weekend to start off this Year of the Rabbit right, and it still shines oh-so-bright, almost 23 years (!!) after its release. After this movie blew my mind (“Mickey Mouse and Bugs Bunny onscreen at the same time?! 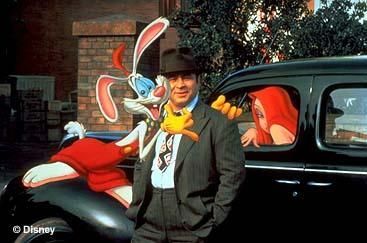 ?”), Roger Rabbit became my absolute favorite cartoon character for many years. And I was shocked when I later learned Bob Hoskins was British.